ADONAI required the children of Israel to bring to Him the first grain of their harvests, once they were in the Promised Land. This sheaf of grain (also called an omer) is to be brought to the priest, who waves it before ADONAI on the day after the Sabbath (Lev. 23:9-14). This Sabbath referred to occurs during the Feast of Unleavened Bread. For this reason, Firstfruits always falls on a Sunday. 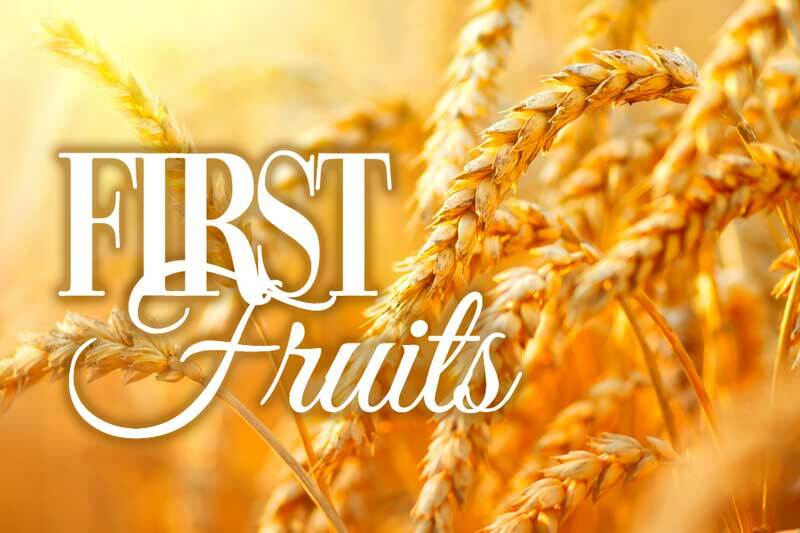 There are some who believe that Firstfruits falls on the 2nd day of Unleavened Bread, since that day is also considered to be a Sabbath unto ADONAI. However, this is not Biblically accurate. A burnt offering, a grain offering and a drink offering are also required on this day. Messiah Yeshua (Jesus Christ) rose from the dead on Firstfruits, and the Scripture says that we too will rise to life from death, making Him the first fruit among the resurrected (1 Cor. 15:20-23). On this day, we should come before Yeshua in prayer, as He is our High Priest (Hebrews ch. 9). When we approach Him, we are to bring an offering of our firstfruits: the best of that which He has given to us. We should also take communion, as this is our grain and drink offering. The burnt offering we are to give is ourselves—our sin nature—presented as a living sacrifice unto Him, as we worship (Romans 12:1), which presents us to God for deliverance.